X Trant (Estramustine) by Natco is generic version of Emcyt.It come is in 140 mg in form of capsule. 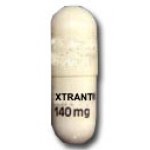 What is X Trant (Estramustine) ? 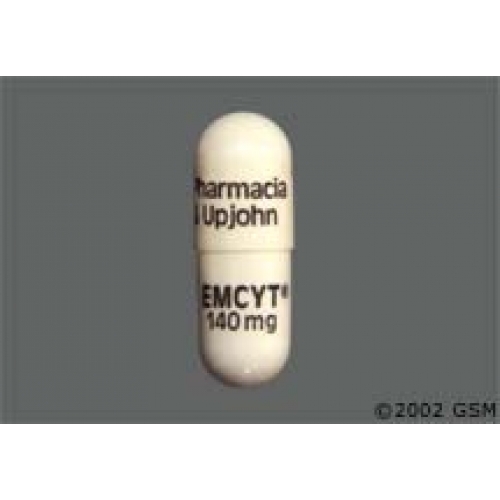 Estramustine is a cancer medication that interferes with the growth of cancer cells and slows their growth and spread in the body. Estramustine may also be used for other purposes not listed in this medication guide. What is the most important information I should know about X Trant (Estramustine) ? You should not use this medication if you are allergic to estramustine, or if you have a blood clot, swelling of a vein caused by a blood clot, or if you have ever had an allergic reaction to estradiol or nitrogen mustard. Before taking estramustine, tell your doctor if you have a history of stroke or heart attack, diabetes, heart disease, high blood pressure, migraine headaches, seizures, liver or kidney disease, or Paget's disease. Take estramustine on an empty stomach, at least 1 hour before or 2 hours after a meal. Do not take this medication with milk, milk products, or calcium-rich foods such as ice cream, yogurt, broccoli, and others. Also avoid using antacids or vitamin/mineral supplements that contain calcium. Calcium can make it harder for your body to absorb estramustine, which could make it less effective. If a man fathers a child while taking estramustine, the baby may have birth defects. Use a condom to prevent pregnancy during your treatment. Ask your doctor how long you should continue using condoms after you stop taking estramustine. What should I discuss with my healthcare provider before taking X Trant (Estramustine) (estramustine)? 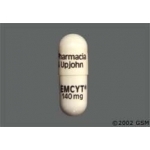 How should I take X Trant (Estramustine) (estramustine)? Take estramustine on an empty stomach, at least 1 hour before or 2 hours after a meal. Take this medication with water, not with milk or other dairy products. To be sure this medication is not causing harmful effects, your blood will need to be tested on a regular basis. Your blood pressure may also need to be checked. Do not miss any scheduled appointments. This medication can cause you to have unusual results with certain medical tests. Tell any doctor who treats you that you are using estramustine. Store estramustine capsules in the refrigerator and do not allow it to freeze. Overdose symptoms may include swelling, shortness of breath, chest pain, or sudden numbness in any part of your body. What should I avoid while taking X Trant (Estramustine) ? Do not take this medication with milk, milk products, or calcium-rich foods such as ice cream, yogurt, broccoli, and others. Also avoid using antacids or vitamin/mineral supplements that contain calcium. Calcium can make it harder for your body to absorb estramustine, which could make it less effective. What other drugs will affect X Trant (Estramustine) ? There may be other drugs that can interact with estramustine. Tell your doctor about all your prescription and over-the-counter medications, vitamins, minerals, herbal products, and drugs prescribed by other doctors. Do not start a new medication without telling your doctor.